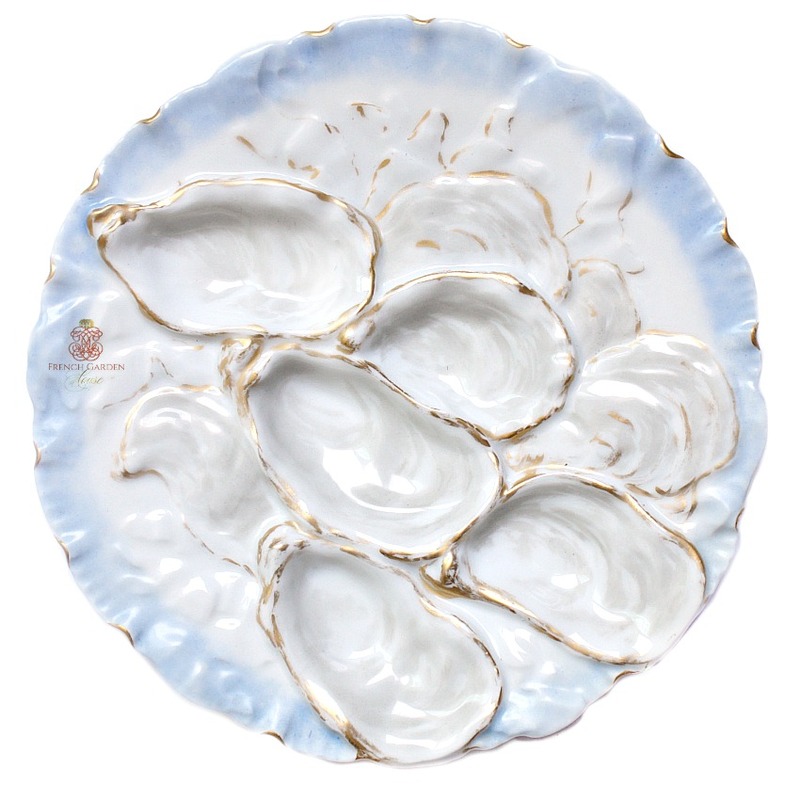 A gorgeous Antique French Haviland et Cie Light Blue and Gilt Oyster Plate with five wells in the late 1800's, so pretty! Light blue is one of the rarer plates to find, this one was hand painted with a sky blue around the ruffled and scalloped rim, edged with hand applied gilt for extra luxury. 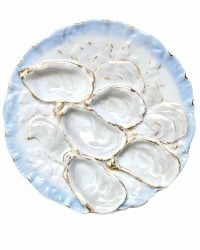 Inside each shell or well, a very delicate dove grey painting to mimic the original oyster shells. The 19th century server is marked on the back with the Haviland et Cie manufacturer mark. Slight usage wear of the gilt here and there, this plate was used and loved! 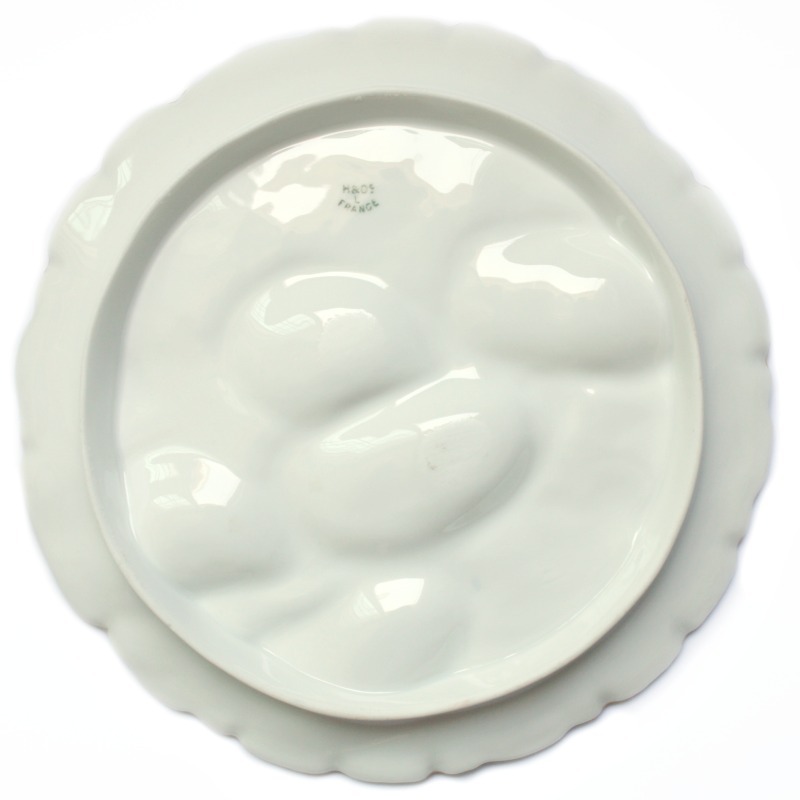 Elegant and sure to be a treasure and the star of your antique oyster server plates. A fine heirloom addition to your collection, to display with joy & pride.